The years that followed saw Elisabeth traverse time and space alongside classic Doctors Jon Pertwee and Tom Baker, whilst a generation of children crouched behind the sofa, terrified but transfixed as their tea-time heroine found herself menaced by Daleks, Cybermen, Egyptian mummies, actors in green Bubble Wrap and even the Loch Ness Monster. By the time she quit the TARDIS in 1976, making front-page news, Elisabeth had become one of the most familiar faces of a TV golden age. But you don't just walk away from Doctor Who. Elisabeth was asked to reprise her role many times, appearing in anniversary specials, an ill-fated 1981 spin-off with robotic sidekick K-9, radio plays and for the BBC's Children in Need. She toured the weird, wide and wonderful world of Doctor Who fandom and became one of the series' all-time favourite companions. So when TV wunderkind Russell T Davies approached her to come back again, this time to a show backed by multi-million pound budgets and garlanded with critical plaudits, how could she refuse? This warm and witty autobiography, completed only months before Elisabeth's death in April 2011, tells her remarkable story, from humble beginnings in post-war Liverpool, through an acclaimed theatrical career working alongside stage luminaries such as Alan Ayckbourn, to Coronation Street, Some Mothers Do 'Ave 'Em and the furthest reaches of the Universe. 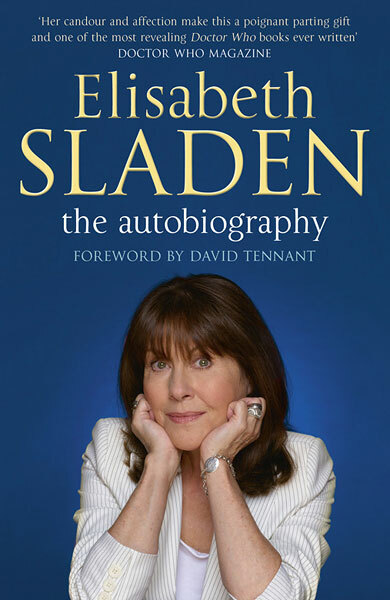 A unique insider's view of the world's longest-running science fiction series, and of British television yesterday and today, Elisabeth's memoir is funny, ridiculous, insightful and entertaining and a fitting tribute to a woman who will be sadly missed by millions. Elisabeth Sladen played Sarah Jane Smith in Doctor Who and The Sarah Jane Adventures. She also appeared in Coronation Street, Z-Cars and Some Mothers Do 'Ave 'Em, and enjoyed a long, successful and very happy career in the theatre. She died in April 2011. Jeff Hudson, Elisabeth Sladen's co-writer, has written more than twenty books, including several Sunday Times bestsellers, and his work has been translated into a dozen languages. He lives in London. When Elisabeth Sladen made her Doctor Who debut as plucky journalist Sarah Jane Smith in 1973 she brought life to a character who would become one of the most enduring and adored of the programme's long history. 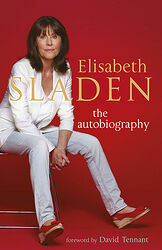 This warm and witty autobiography, completed only months before Elisabeth's death in April 2011, tells her remarkable story, offering a unique insider's view of the world's longest running science fiction series, and of British television yesterday and today. Funny, insightful, ridiculous and entertaining, it is a fitting tribute to a woman who will be sadly missed by millions.